Is there any better feeling than waking up on a dreary Monday morning knowing you’re off work??? Well, yes, actually – when you wake up on a dreary Monday morning, you’re off work and you’re heading to the wonderful Seaham Hall Hotel for a relaxing spa day. I must admit it’s been a few years since I’d been to the coastal retreat for a spa day – plenty of times in between for meetings and events, though that’s not quite the same is it. My friend Danielle and I are seasoned spa ‘retreaters’ so we arrived with high hopes and a sense that we were in for a real treat. The smell as you walk into the spa is wonderfully herbal and invigorating, enhanced by the array of Temple Spa products available to test. We immediately felt better. After getting the paperwork out of the way and given our lunch and treatment slots, we were taken on a guided tour of the facilities before being left to our own devices to enjoy our day. 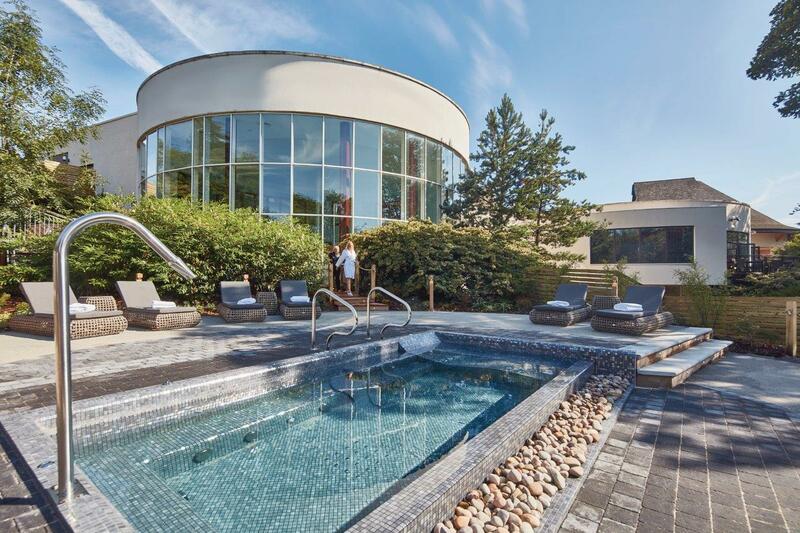 The spa area has benefited from significant investment over the last couple of years, including an overall upgrade of the pool area and the addition of an infinity pool in the garden. And that was our first stop. The infinity pool is a must for complete relaxation and while at times it was a little too busy, we could live with that. The heat was perfect and although the weather wasn’t great, it still felt like we were close to paradise. Our morning was spent between the pool and hot tubs, with some time reading books and magazines in the Zen Lounge on the heated beds. Here you can enjoy glasses of cleansing cucumber water and dried fruits, which adds to the whole health and wellbeing experience. Lunch was a two-course meal in the Ozone Restaurant. After devouring a complimentary bowl of prawn crackers, we enjoyed duck pancakes and crispy belly pork followed by king prawn green Thai curry and katsu chicken absorbed nicely by fried rice and sweet potato fries. The food was washed down by a chilled glass of sauvignon blanc (my choice) and a rose for Danielle. After lunch we had a couple of hours in the spa before our 90-minute Temple Sap Ritual Treatment Package – the final part of our spa experience. The phrase ‘Save the Best for Last’ is often overused, however in this case it is entirely deserving. Danielle and I both opted for a 60-minute full body massage with a 30-minute facial (we could have chosen 45 minutes for each), which were both enhanced by the use of the finest smelling oils and salts. Ninety minutes might seem like a long time, however the time absolutely flew by and we both admitted to drifting off at times, certainly a result of the complete state of relaxation our treatments left us in. Afterwards we both agreed it was the best massage we’ve ever had – perhaps we say that after every massage though in this case it did feel that way. Neither of us wanted our treatments, or the day itself, to end; it really was wonderful and we left completely and utterly relaxed and stress-free. I cannot recommend Seaham Hall Hotel and Serenity Spa highly enough and I’m pretty sure it won’t be too long before we return. Maybe next time, though, well stay overnight! The only downside – having to drive back to Thirsk after THE most relaxing day.